Everyone knows Galaxy S4 released with some unbelievable features including Air Call, this feature allows users to answer the phone calls by just waving your hands. 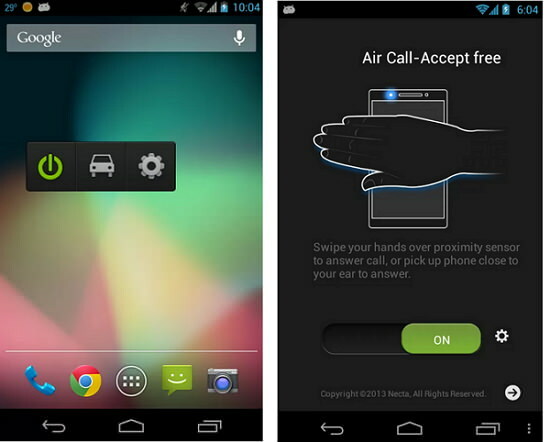 XDA Developer introduced new Android app called Air Call Accept, lets you answer your phone calls by just waving your hand on in front of the device or just place your device to ear. With this app every Android users can bring Galaxy S4 like Air Call feature on their device. Air Call Accept free version supports only for answering calls, if you need more features like Reject calls, Send SMS when reject call just go to paid version.